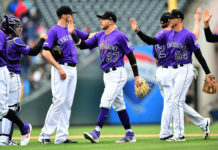 Kyle Freeland picked up his 12th win of the season Friday night, as the Colorado Rockies (66-56) defeated the Atlanta Braves 11-5 Friday night in what was a dominant road performance for the second-year starting pitcher. Freeland (2.96 ERA) was able to deliver six strong innings, giving up only three hits and one run, while striking out nine and walking four. In Freeland’s last nine starts, the Rockies have a record of 8-1 and his ability to go deep in games has been a big reason why. Freeland has gone at least six innings in 15 of his last 20 starts and that ability to consistently go at least six innings has been crucial for a team that has not had the most reliable bullpen. Along with a strong performance from Freeland, the Rockies’ bats came alive in the victory. 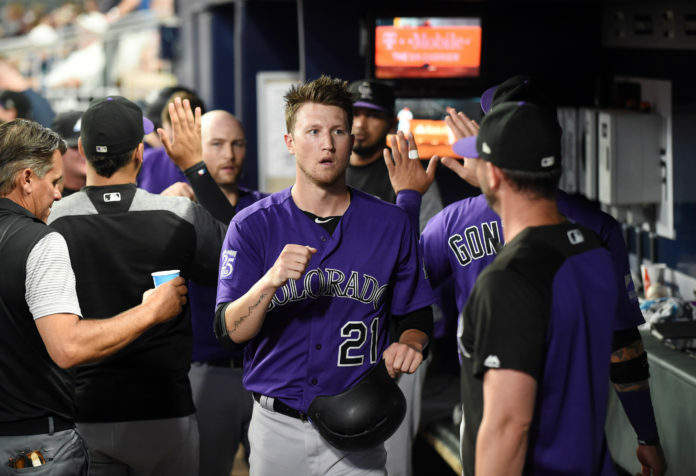 Colorado exploded for 16 hits Friday night, which was the first time that the Rockies have had 13 or more hits in a game since before the All-Star Break. Prior to the Midsummer Classic, Colorado recorded 13 or more hits in a game 15 different times. 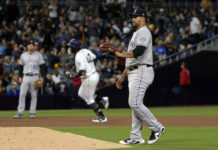 Eight of Colorado’s starting nine players finished the win with a hit, including Freeland, who reached on a bunt single in the sixth inning and scored one batter later when Charlie Blackmon launched a triple to right field. Blackmon would later score on a wild pitch from Braves reliever Chad Sobotka. Blackmon (2), Chris Iannetta (1), D.J. LeMahieu (2) and Ian Desmond (5) were responsible for the club’s 10 RBI in the road victory. The Rockies are now 35-29 in games played away from Coors Field this season, despite only having a run differential of +3. 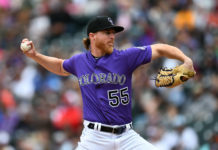 With such a large lead, Black was able to rest his late inning relief pitchers, Adam Ottavino and Wade Davis. Bryan Shaw pitched the seventh, Jake McGee pitched the eighth and Chris Rusin recorded the final three outs. In three innings of relief work, the Rockies’ relievers gave up six combined hits and four earned runs. Three of those runs were surrendered by Rusin in the ninth inning. Now up 2-0 in the series, the Rockies will look to secure a four-game series victory with another win Saturday night. First pitch is scheduled for 5:10 p.m. MT at SunTrust Park in Atlanta, Georgia.